There are still 25 additional such cases that I will list in this post. You may ask: why am I writing more on this topic that I have already written on three times? 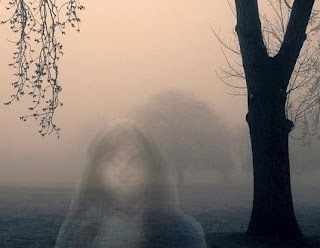 The reason is to help show how common it is for apparitions to appear unexpectedly to someone who later found that a person matching the apparition died on the same day. If apparitions are mere hallucinations, we should expect it to be incredibly rare that someone should see an apparition of someone he did not know was dead, and then to learn that person had died on the same day or the same hour and day. So if it can be shown that a large number of apparition sightings involve cases where someone sees an apparition of someone he did not know was dead, and then found that such a person died on the same day as the sighting, the claim that apparition sightings are mere hallucinations will be discredited. Let us now look at 25 more of these cases, not mentioned in my previous posts on this topic. Below are some cases from Volume 2 of the classic work on apparitions, Phantasms of the Living by Edmund Gurney, Frederick Myers, and Frank Podmore. 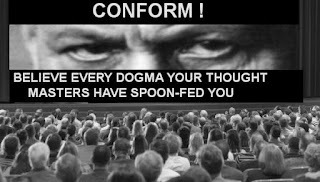 Just click on the links below to bring up this work online, going to the exact pages of the accounts I refer to. Page 511, Case 552: Mrs. Rooke stated that on a day in October, she saw an apparition of a friend of hers, and that the apparition vanished as she approached it. She later found out the friend had died. She said that the sighting might have occurred at the same time as the death (but sounded uncertain about the timing). Page 513, Case 555: On September 22, a Mrs. Perryn saw an apparition of her mother, who seemed to be enveloped in a faint smoke. She later found out that her mother died on the same day at another location. Page 514, Case 557: A Mary C. saw an apparition of an old woman she knew, an apparition that vanished suddenly as she looked at it. She later found that the woman died on the same day. Page 516, Cases 559-560: Hickman Heather said that his father saw an apparition of his mother (Hickman's grandmother) early in the morning while walking home, and that Hickman's grandmother suddenly died on the same day. Hickman also reported that his father had seen his brother Ned (Hickman's uncle) appear at a time when it was “impossible that my Uncle Ned could be there.” In “about a couple of hours” word came that Ned had died. Page 519, Case 562: A young boy reported seeing his father, Captain Skyring, although his father was far away on a naval expedition. Shortly thereafter the boy's mother received word Captain Skyring had been murdered "on the day in question," apparently the same day the boy saw the apparition. 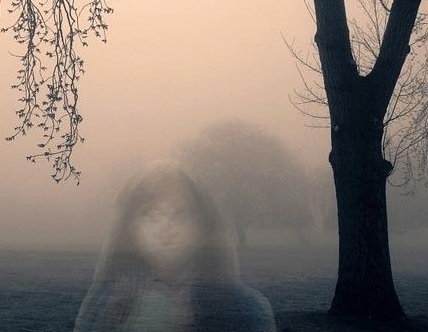 Earlier Captain Skyring himself reported seeing an apparition of his mother while away from England, and then found upon returning to England that his mother had died on the same day as the apparition. In both this case and the previous case we have astonishing accounts of two “veridical apparition” sightings in a single family. Page 520, Case 563: Young Jane Barford was sent away two miles to an aunt while her father was ill. One day she saw her father unexpectedly at a quarter before 7, and said “I knew it could not be my living father.” She hurried home, to be told that her father had died that day, at a quarter before 7. Page 521, Case 566: Mrs. Morris saw “little G.” carrying two lilies, and the apparition disappeared as she looked at it. She later found that the same person had died on the same day. She was told that G. had been given lilies just before he died, and was delighted with them, and had held them shortly before dying; and that they were now in the hand of G.
Page 522, Case 567: Mrs. Amos stated that she saw an apparition of her mother while Mrs. Amos and her husband were in bed. She discussed the sight with her husband, who was unable to see the strange sight. "After that she vanished slowly away," stated Mrs. Amos, who received a letter the next day telling her the mother had died. Page 522-523, Case 568: A man far away from his mother was surprised to see an apparition of his mother and his dead sister. He tried lighting a candle, but "the apparitions had already faded away." He soon found that his mother had died on about the same day. Page 526, Case 572: While at a church service, an H.C. saw an apparition of a friend's face. H.C. later found that the friend had died on the same day. Page 542, Case 590: A boy at a boarding school was astonished to see on April 1 an apparition of his mother, who lived about 250 miles away. He later found that his mother had died on April 1. Page 545, Case 594: A man saw his wife passing by him in a field. She must have looked spooky, for he then said to a friend, "I am sure my wife is dead." He then found out that his wife had died at the same time the sight was seen. Page 550, Case 601: A Mr. Milton reported seeing his son in his cellar, at a time when the son was believed to be at sea. A few weeks later Mr. Milton received word from the captain of the ship that Mr. Milton's son had died on the same night as the sight was seen in the cellar. Page 554, Case 606: In Ceylon (now called Sri Lanka), a Mr. Selby saw a strange sight that caused him to write down, "My wife died 13 minutes to 6 o'clock." A month later he found out that his wife had died in England within a few hours of the time he wrote the note. Page 583, Case 636: A woman "saw her son coming through the wall, and making his exit through the opposite wall." She then found out an hour later that her son had drowned. Page 604, Case 651: Benjamin Coleman was surprised to see at his bedside his son, who was believed to be far away at sea. The figure (wearing sailor clothes) vanished from Benjamin's sight. He then soon heard his servant William Ball say that William also had seen the son that day in sailor dress. The father later found that the son "had died that very day and hour, of dysentery, on board ship." Page 612, Case 659: A sibling and the sibling's sister were surprised to see at the sibling's bedside the sibling's brother, who was believed to be far away doing a job for a reigning prince. Three weeks later word came that the brother "had died the same night, and the same hour." Page 613, Case 660: Two brothers were in bed when they both saw the apparition of a lady to whom their father was engaged. She died suddenly that same night. Page 615-616, Case 662: Between 6 and 7 o'clock, a woman, her brother and her mother all saw Ellen, the woman's sister. The woman "tried to catch hold of her, but seemed to catch nothing." The next day they found out that Ellen had drowned "a little before seven" on the same they saw the apparition. Page 616, Case 663: A woman saw her husband's mother. When she cried out, the husband looked up, and "the apparition vanished." On the same evening, two male children of the woman saw a strange silent female figure pacing back and forth in their bedrooms. It was later found that the husband's mother had died on the same evening. Page 617-618, Case 665: Two brothers woke to see standing between their cots the figure of their father. When one of the brothers rose up, the figure vanished. They later found that their father had died at the same hour. Page 622, Case 667: Four people were startled to see an apparition that disappeared just after a woman screamed "He's dead." Word later arrived that a person corresponding to the apparition had been murdered far away on the same night. The account says, "his spirit appeared to his wife, his child, an elder sister, and myself." As I will show in posts later this year (that cite 30+ cases in the literature), the account just cited is not a rare one -- for there are quite a few cases of apparitions being seen by multiple observers at the same time.